Here's our take on "standard" vs. "advanced" granite sealers... Pro vs. DIY application... and which is the best value. Is a high-quality granite sealer worth the extra expense for a high-quality granite or is there much difference? Do Chocolate Bordeaux granite countertops need a sealer? The short answer is... Yes... it is "worth it" to use a high-quality sealer regarding performance and convenience. Is it the best value? Yes, it can be, but that depends on how it is applied and which product you choose. In reality, the difference is not between "high" and "low" quality sealers, but rather between "good" and "better / best"... "standard" and "advanced".... or what I call.... "last" generation vs. "next" generation technology. A significant performance difference exists between stone sealers using "last generation" technology (standard / good) and "next generation" technology ( advanced / best). A cost advantage is realized when choosing particular "advanced" sealer products and the right application method. A handful of next generation stone sealer manufacturers (Sensa, SenGuard, Granite Guard, Granite Shield, Permashield) utilize proprietary chemistry, specialized molecules and nano-technology to manufacture products for sealing granite & marble with superior performance characteristics. For several years these sealers were available only when pre-applied to a granite countertop "at the factory" or by a licensed technician in your home. Both methods are expensive and most of these are still only available in this manner. Fortunately, in the last few years SenGuard Sealer and Granite Shield became available to consumers in DIY kits. I'm a big proponent of sealing granite countertops DIY style. It's just so easy and far less expensive than professional or factory application. The performance of the sealers used is the same, so the additional cost of professional or factory application is of questionable value. I highly recommend using the SenGuard Permanent Granite Sealer DIY Kit. Not only is it quite a bit less expensive than Granite Shield, but far easier to apply. Granite shield is a multi-chemical, multi-step process. SenGuard is a single liquid applied in the same simple manner as tradition sealers. And the kit comes with both DVD and written instructions plus all needed materials. SenGuard represents the best of both worlds. You get all the performance characteristics (permanent bonds, one-time application, more thorough coverage) of the most advanced sealer technology in an easy-to-use DIY kit. Plus, it is the least expensive when compared to all other "next generation" sealers on the market. SenGuard is more expensive initially than a "standard" sealer, but you get superior performance and a better deal over time, since you don't have to repeatedly buy and apply the sealer as you would with a last generation sealer. You still have many good choices among the "last generation" products for sealing granite countertops and other natural stone. "Standard" impregnating sealers now on the market (such as those made by Stone Tech, Miracle, Aqua Mix) are very good. These aren't bad products by any means.... Just not the "best" or "highest"
These last generation granite sealers will provide reliable, effective and reasonably durable protection at a low initial cost, but in the end... inferior performance, more maintenance and potentially higher cost. A few will provide longer-lasting protection on more dense granites when using high-quality stone cleaning products (thus, the sealer won't degrade as fast). One of the last generation Impregnating Sealers we like best is excellent generally providing 5 to 10 years protection depending on the porosity of the stone and proper application. The chemistry used in these stone sealers is far better than it was say 10 years ago, but it's no longer "THE" best. The potential cost benefit and value of advanced sealers is realized over time. But again, depends on the total cost of application, which varies considerably between products and pro vs. DIY application. Initially next generation sealers are more expensive. But the cost of repeat applications of standard sealers adds up over the years, plus you must factor in the additional time / effort of each re-application and inferior performance. Professional or factory applied sealers are not a good value in our opinion. These are too expensive ($350 - $600) for what you get. Click here for our full explanation on Pro vs. DIY sealer application. The best value are the DIY advanced granite sealer kits The cost of these is low enough ($150 - $250) to realize both a "performance" and a "cost" advantage over use of standard sealers along with the "convenience" advantage of one-time application. Now you don't "have to" use the most expensive or most advanced sealers. Standard stone sealers will do an adequate job. But when using the advanced DIY kits applying the "highest-quality" granite sealer is definitely "worth it" in our book. Does Your Granite Even Need Sealing? It's a myth that "all" granite countertops and natural stone "must" be sealed. Many varieties are very dense and naturally stain-resistant. And sealing granite or any stone that doesn't need it is bad news often creating a hazy film that must be stripped off the surface. Simply performing the water test for sealing granite countertops will give you the most accurate answer for Chocolate Bordeaux or any other color, name or stone type. As with any stone the need for a granite sealer is not necessarily a function of the name, color or price you paid for the granite. Some varieties/color of granite always need a sealer and some never do, so often when given the name of a particular color of granite we can say "yes it will" or "no it won't" need sealing. But since the properties of natural stone can vary so much, the lazy "guessing" method sometimes doesn't work out. And you don't want to apply a sealer to a stone that doesn't need it. The correct method is to "test" the granite. If testing shows you should seal it, then all the above information will help you make the best decision on which granite sealer to use. We moved into a house with what I call deeply flawed granite kitchen countertops. They are pitted everywhere. Particles become lodged in these pits and it’s virtually impossible to keep them feeling clean. Would a sealant help level out the surface of the granite? A sealer would help to prevent water and liquid absorption that can lead to pitting, however, it won't stop pitting or fill the holes. To fill pits use the Pit Repair Kit for Stone. Applied By Contractor Worth It? We are having granite installed tomorrow. Sedna in our kitchen and Uba Tuba granite in our bathrooms. Our contractor offers a "lifetime" granite sealer application for $400.00. Would this be to our benefit to have this done? Well, first you should perform the water test to determine if your granite even needs sealing. Uba Tuba granite is often very dense and doesn't need sealing, but since natural products can vary it's always best to test first. When needed, sealing granite countertops is not difficult. Of course, installing them is for professionals only, but sealing is a completely different deal... easy. The chemical technology now exists for a granite sealer to form permanent bonds and probably never need re-application... which is great. It's more expensive up front than other more common sealers, but long-term it's a better value. Until recently though a "lifetime" granite sealer was only available via contractor application. And $400 is pretty standard. But now you can get the most advanced marble and granite sealer technology with the SenGuard DIY Granite Sealer Kit and apply it yourself for less than half the cost of contractor application. So, the question you have to ask is whether it's worth it to you to pay a lot more to have your installer seal it rather than doing it yourself with a sealer that is as good (or better) than anything the installer will apply at a much greater cost. And you don't have to seal the granite immediately. Your risk of staining in the next couple of weeks is very small. So yes, I do think the permanent bond granite sealer is the way to go.... it's our best recommendation. Personally I don't think the contractor application is worth the extra cost since it's so easy to do yourself. It's like paying $75 to drive through the gas station car wash. Yes, it's nice not to have to do it yourself, but is that a fair value? However, some people don't mind paying for such services no matter the price and of course it also depends on how large the installations are. If the total surface area for the kitchen and baths is over 200 square feet, then having your installer apply the granite sealer may be worth it. Otherwise I'd do it yourself. Our fabricator bid $300 to apply Granite Guard Lifetime Sealer to our Santa Cecilia granite kitchen countertop (brown, gold with some black). "Granite Guard" is a professional only application and those do tend to run much more expensive, but you can get equal performance in a DIY kit. Applying granite sealers is a fairly easy "do-it-yourself" job, so you could save half what he is charging and apply the sealer yourself using the SenGuard Homeowner Sealer Kit. SenGuard is the leader in this new permanent bond granite sealer technology, so you will still get top shelf performance. We highly recommend it. Of course, if you wanted your installer to apply this, then it likely won't be any cheaper. If you do want the installer to apply a sealer, but just want a cheaper sealer, then I'd recommend the Impregnating Stone Sealer on this page, which does not form permanent bonds, but is an excellent sealer and will still likely give you 5-10 years stain resistance and maybe longer. But again, the real savings comes from doing it yourself, since it is not difficult. Do you generally see that Santa Cecilia granite requires sealing? We have well water and it has left matte surface marks surrounding the faucet and handles in our master bathroom. Any ideas? These are due to hard water mineral build-up from your well-water. Hard water leaves dull, whitish, sometimes crusty build-up around sinks, faucets and on shower walls. To remove hard water deposits use the Bath and Shower Hard Water / Soap Scum Remover. Sealing really won't stop hard water build-up (since it is on the surface), but it can keep water from absorbing and thus potentially causing some staining from the minerals. Actual staining rarely occurs in hard water issues. It's mainly a build-up on the surface and you just need to clean it off using the above product. You may also consider using a water-softener or adjusting it if already using one. 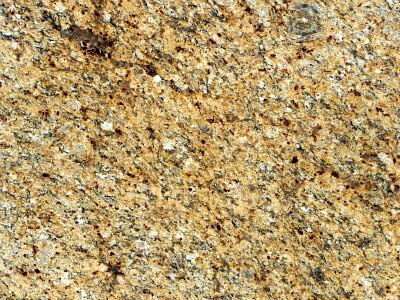 Yes, "typically" Santa Cecilia granite is porous enough and does require sealing. But you should never make the decision to seal or not to seal simply based on the granite countertop color or name... or professional "opinion" for that matter.... mine included. Now, it's true that many stones are very consistent. Meaning that it can safely be said that Black Galaxy granite never needs sealing or that Kashmir White always needs sealing, etc. But this method always leaves room for an exception, especially when "generalizing" about the other 2500+ granite colors. And you don't want to apply a granite sealer to a stone that doesn't "need" it. This leads to a problem with hazy streaks, and you don't gain any "extra" protection. You don't want to know if "Santa Cecilia granite" needs sealing. 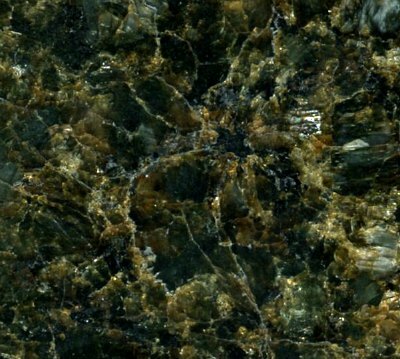 You do want to know if the granite countertop in YOUR kitchen needs sealing... regardless of name or color. The one and only accurate way to determine this is to perform the water test for sealing granite (link above on this page). Do this and you'll have a definitive answer about sealing your Santa Cecilia granite countertop. 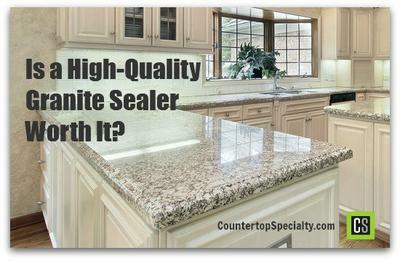 If testing shows you could/should seal the countertop, then we recommend using SenGuard Sealer (the current top dog) or one of the marble and granite sealers found at the CountertopSpecialty.com - Stone Care Center.